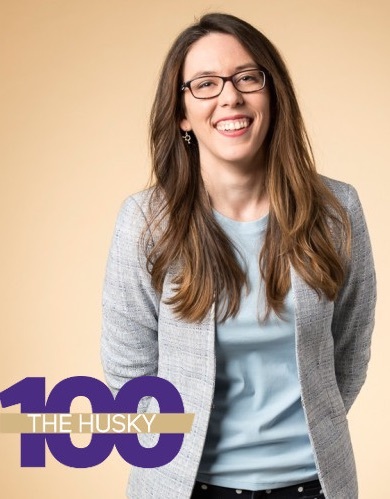 Erin, class of 2019, was selected as one of the 2019 Husky 100 awardees in recognition of her commitment to using museums to inspire pro-environmental action. “The UW Museology Graduate Program was an invaluable part of my educational experience. It was a pathway to knowledge, connections, and resources within Seattle's museum community. 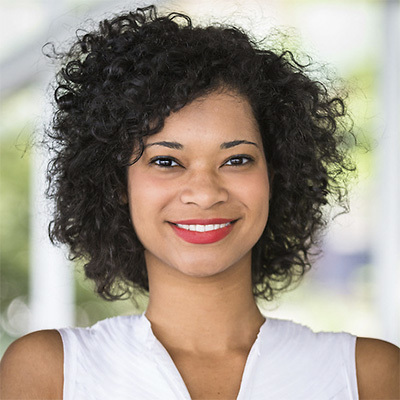 The Program opened doors and allowed me to think deeply and critically about who I did and did not see in the field, and ways to change it." Find out more about UW Museology and get tips on what makes a strong application. 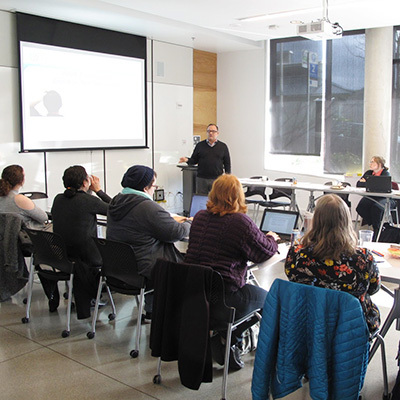 Why the Museology Graduate Program at the UW? Exploration is healthy. Curiosity is encouraged. That is why we actively encourage students to try out as many different things as possible. Internships, classes, community events, research projects—all of these are great ways to explore what truly inspires you. Our courses are problem-based. 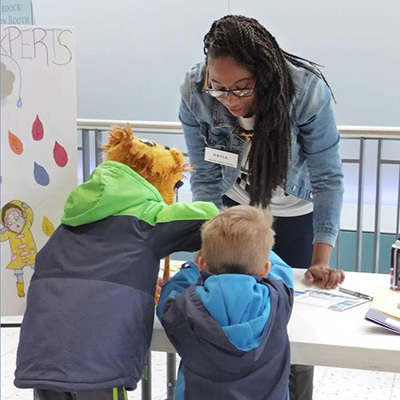 Students think creatively and collaborate to design and build exhibits, create and evaluate educational programs, write grants and care for collections. Learn more through our Course Highlights. Our curriculum prepares students to work in museums as well as a broad range of other cultural organizations from parks to libraries to the symphony. 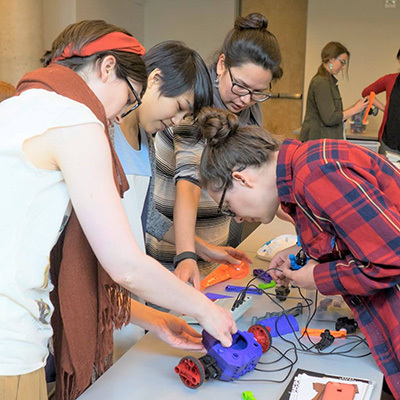 We emphasize transferable skills in learning and education, evaluation, design, and nonprofit management, which means our graduates can be innovators across museums and beyond. Our new courses are developed to address current and future trends in the field. We believe in the power of evidence-based practice. 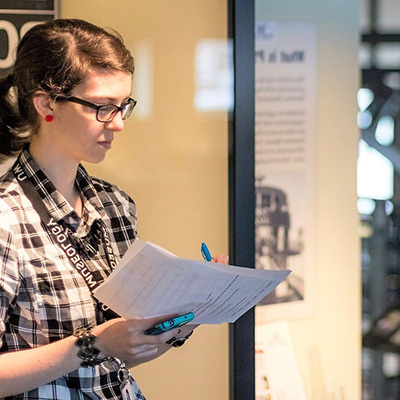 The Specialization in Museum Evaluation teaches students a wide range of skills that will prepare them to incorporate museum evaluation into their work. We are committed to equity and research in the museum field. The goal of our three year paid internship pilot is to make museum work accessible to students who are not able to work without compensation. We hope that this initiative will contribute to the larger, field-wide conversation on the implications of unpaid museum internships. "Launching our paid internship pilot program makes a statement, as a museum studies program, about who we are and what we value. It’s not a solution to field-wide issues, but it’s a concrete step that we can take to further the conversation. It’s also an excellent fit with our focus on practice informed by research and evaluation."